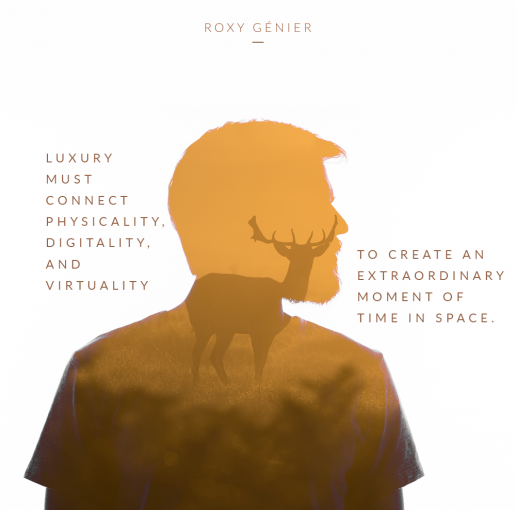 Luxury must redefine the way we experience our world. In the mid-19th century, Louis Vuitton were the first to curate lightweight watertight trunks for easily stackable boat travel. Philip Patek was the first to release the wrist watch – a timekeepers piece that didn’t need two hands to operate. Coco Chanel was one of the first designers to swap out tight corsets for casual free flowing styles. Luxury and innovation once went hand in hand, these were the brands disrupting the status quo, delivering something different, and paving the way for new patterns to emerge within trending markets. What is the revolution of our time? As a species, modern technology has effectively changed the way we communicate. We have access to the World Wide Web at our fingertips, we have endless choice at the click of a button, we no longer have to rely on face to face meet ups both in business and pleasure, and every facet of our lives is linked to technology. The luxury industry has been slow to embrace this cultural phenomenon, and for what at first seemed like good reason. They argued that a presence on the web made it hard to stay exclusive, that true luxury was a tactile encounter, and that they ran the risk of cheapening their brand if consumers could see and buy online. But, in a world where people are relying on modern technology to meet their future spouses, no industry is above our love for getting online. Brands are no longer in the driving seat, they are the passengers and this time – it’s the consumers that are choosing the direction. These consumers are powerful, they are educated, and they are informed. They have played a major role in the digitalization of the market, and they will respect brands that have paid heed to this and adapted their communication methods to suit the changing needs of the user. Luxury brands must think more innovatively when it comes to connectivity. The McKinsey 2015 Digital Observatory noted that by 2025, ecommerce would be the worlds third largest luxury market. Of course, the wealthy one percent will still want to visit those beautifully crafted brick and mortar stores to complete their purchase. But the journey to the store is sure to include at least one digital touchpoint, so forward thinking luxury brands will find a way to weave the two together to create a harmonious user experience that starts behind the screen and ends in a tete a tete. Connectivity is the revolution of our time. Net a Porter are a great example of a brand that have thoughtfully tapped into the changing habits of the modern consumer. A luxury brand built to sell online, many said it couldn’t be done, but Natalie Massenet changed the narrative, pushed the boundaries, and curated a multi-million-dollar business that blends our desire for beautiful things with our love for online shopping. From Grazia to Givenchy, everyone is clamoring to be onboard. More than an online shop, Net a Porter has transformed into a daring digital magazine that delivers to your desk or doorstep. From the second you click on the site to the moment your designer garb arrives wrapped in pink tissue and a signature ribboned black box – the user experience is flawless and fabulous. A clean user experience will encourage more sales its really that simple. Many luxury brands get too complicated, artsy and mysterious when it comes to their site design. 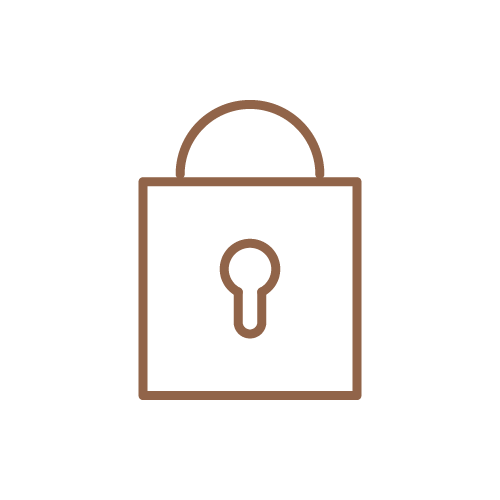 They try to maintain the exclusive feel and mystique, but often this only ends up alienating the user who lands on your website as if it’s difficult to use, they will feel frustrated, unwanted, and unvalued. Product images should be beautifully executed and showcase your brand in the very best light. Every inch of your copywriting should convey the quality of your brand. Words can be emotive, sensory, and draw on the songs of history to create a compelling story. The tone should also fit your brand image and should have a natural flair and authentic feel as opposed to being too stuffy. Customer service needs to be en pointe; for example brands can add a clear contact number for any telephone conversations that may be needed. Also, returns should be smooth as silk and hassle free with follow up checks to ensure that satisfaction levels are met. Packaging must also be considered. Look back to Net A Porter, customers are enticed by the wow factor. Plain old brown packaging and cookie cutter envelopes are not going to cut it. This is your chance to get creative and deliver a thoroughly rich experience from start to finish. Speaking of delivery, its simply not luxury to vaguely say 3-4 days. Time is extremely precious to high-net-worth individuals and luxury consumers, and they want expediated delivery when possible or at least an exact date and time slot. Many luxury brands have some catching up to do. Luxury brands are still going to be pulling away from the reigns when it comes to delivering online. As this article from The Drum notes, The downside, from the luxury brand perspective, is that Gucci’s website users experience more or less the same functionality as Tesco’s. Many luxury brands have some catching up to do. Rather than start channeling innovation into site design and trying to reinvent the wheel, they should start back at the basics; creating houses in the online sphere that make for an informative, inspired, and enjoyable user experience. For brands needing to keep that exclusive edge this can also be done online by connecting with customers. From personal concierge touches to specialized digital deals, you can entice users to feel valued and loved within a virtual space. Limited flash sales on the next big thing or unique runway pieces are also going to hugely appeal to the millennial mindset. Its fun, its fast, and has a competitive edge. While this may not be the in-store Chanel and champagne experience we are used to, this is the future. Connectivity is all about closing the gap; whether online or off, the aim is for all your digital and physical touchpoints to breathe beautifully together. Connectivity extends to the offline space too, and while many luxury brands are well versed in curating experiential instore experiences, they now need to make sure that the process is complemented by the online experience. The two must exist in harmony to keep consistency and trust attached to your name. Luxury watch retailer Shinola is marked as a brand that is truly curating an omnichannel experience for their customers. Their aim is to ensure that consumers never have to start over with them, using sophisticated tech they are able to pinpoint simple things, like when a watch battery will start to run out, so they can personally invite the client back into store to have their watch refreshed. They want a customer to go into a store once in Chicago and for a store in San Francisco to know their name. 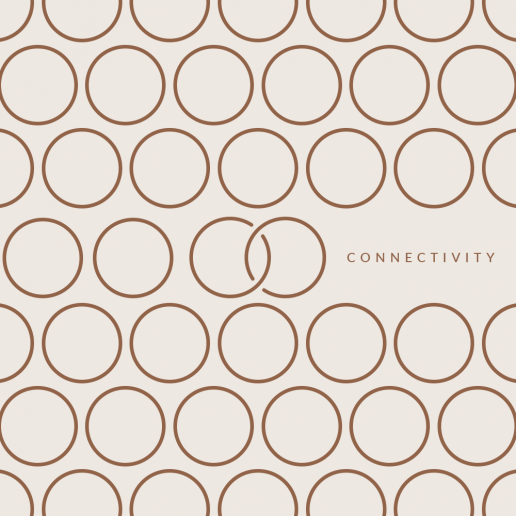 Connectivity is all about closing the gap; whether online or off, the aim is for all your digital and physical touchpoints to breathe beautifully together. If there’s a crack in the system, its sure to trip your consumer up and lead to a disjointed and jarring feel – two things that go against the essence of luxury. Going digital and marrying that to the bricks and mortar experience isn’t as difficult as it sounds. If as a brand you are able to listen to your consumer, to understand that time is precious to them, and to have an authentic desire to create a smooth and sensory journey then it doesn’t have to seem so scary. Connectivity is a New Luxury value. Now, let’s explore the next luxury anti-value.